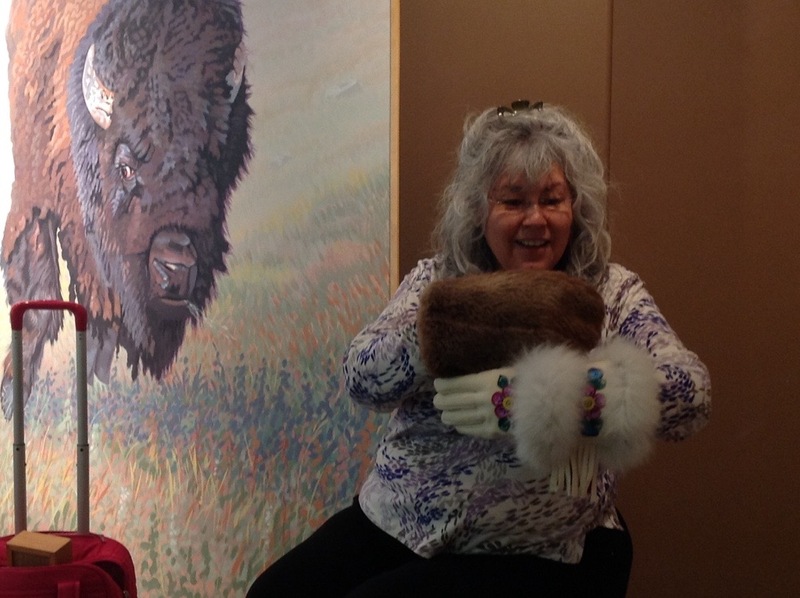 We heard wonderful stories from Ms Fraser, a First Nations knowledge keeper, at the Art Museum this afternoon. Ask your children to tell you one of the stories! 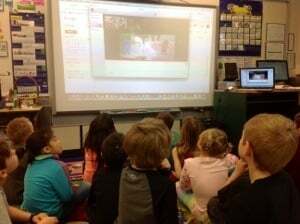 Kim Cooper Skyped into our classroom today to help the students learn to hear rhymes in text. She read a rhyming book and asked the students to tell her the words on each page that rhymed. It was tricky, but the students got better at hearing the rhymes as the book progressed. Rebecca Baranowsky, an education student at the University of Regina, has made two videos recently…just for us! The students loved them, so I am sharing them here. Thanks, Rebecca! 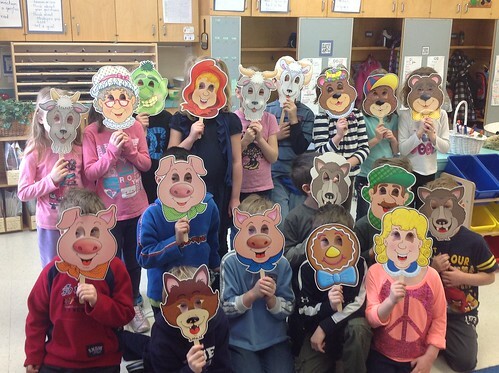 Some real “characters” showed up in our classroom this week! Since we coming to the end of our fairy tale unit, the students took turns acting out some of the tales we’ve read together. It’s amazing to see the way hiding behind a mask can empower some of the more timid children.